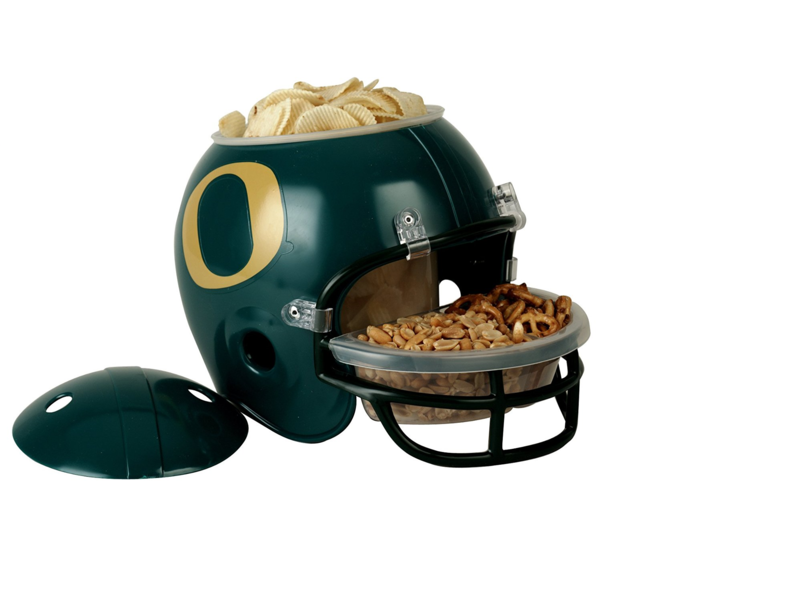 Support your favorite team while enjoying some snacks at your next party with this NCAA® snack helmet from Wincraft™. 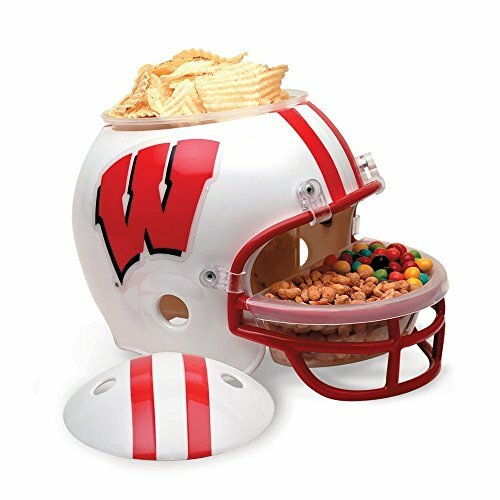 The full-size helmet is made of durable molded PVC plastic and has a microwave and dishwasher safe removable snack bowl in the center and tray that fits into the face mask, which is great for dips and sauces. The officially licensed snack helmet is decorated in the team colors and proudly displays the team graphic decals.